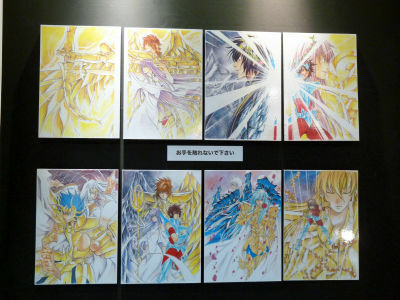 Saint Seiya by Masami Kurumada originally serialised in Weekly Shonen Jump during 1986 to 1990 was adapted to a TV anime series, five feature films and four OVAs, becoming one of the most beloved manga and anime franchise. Though the original manga concluded decades ago, a derivative work based on it titled Saint Seiya: The Lost Canvas, written and drawn by Shiori Teshirogi under the authorization of Masami Kurumada, is currently serialized in Weekly Shonen Champion, showing the popularity hasn't died down and gaining fans among new generation. 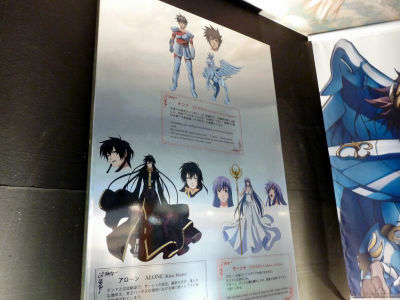 An anime adaption of this "Saint Seiya: The Lost Canvas" is to be released as an OVA in June 2009. 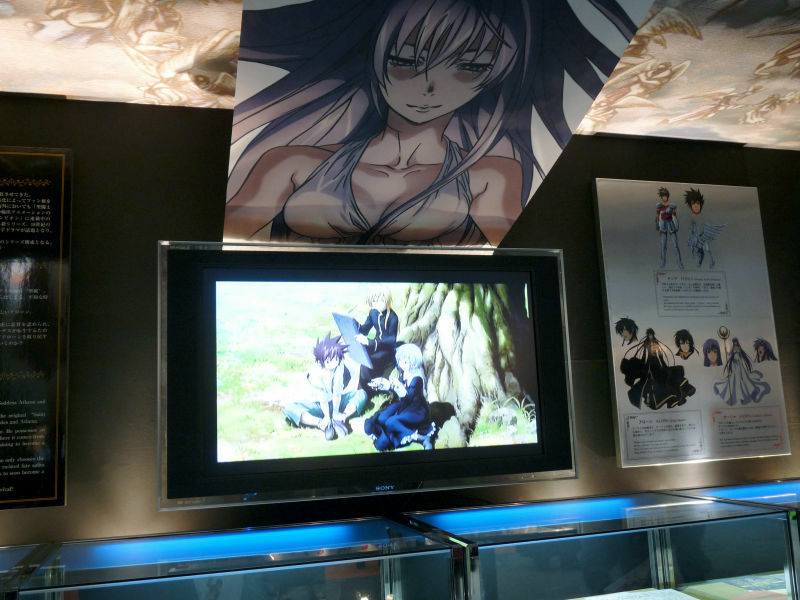 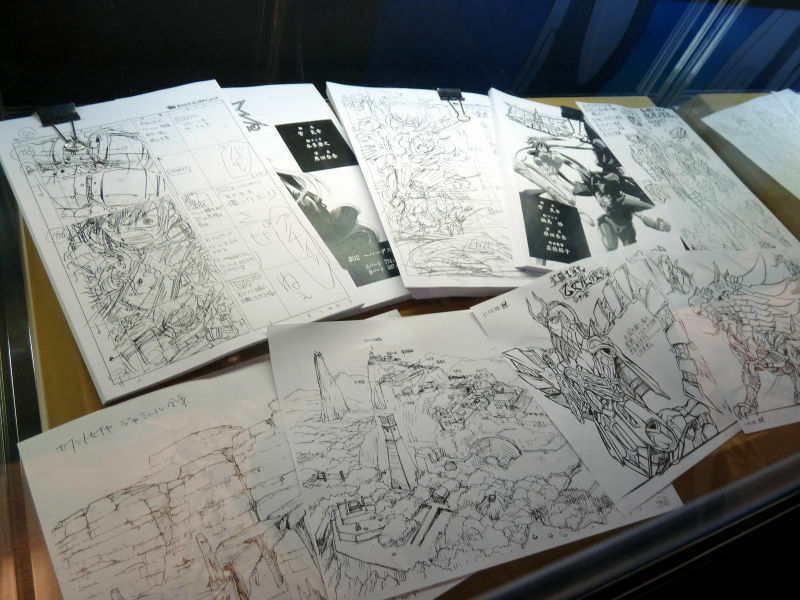 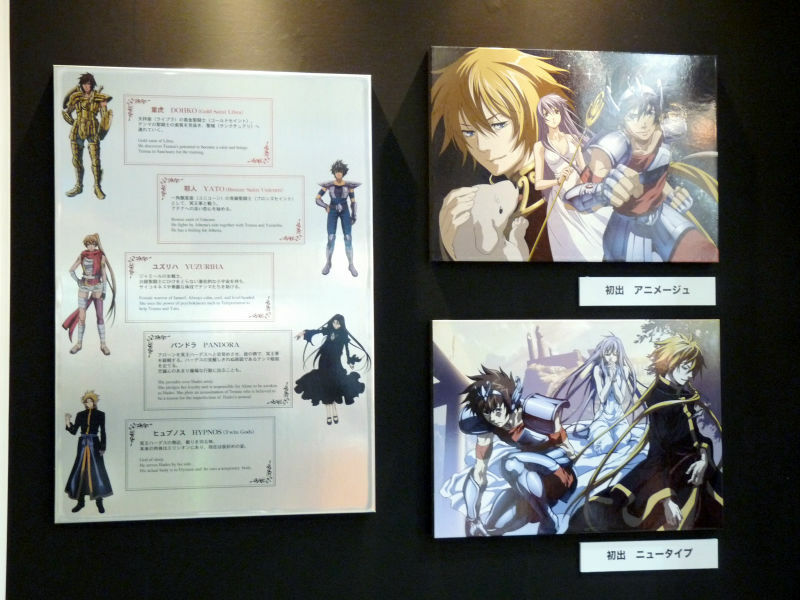 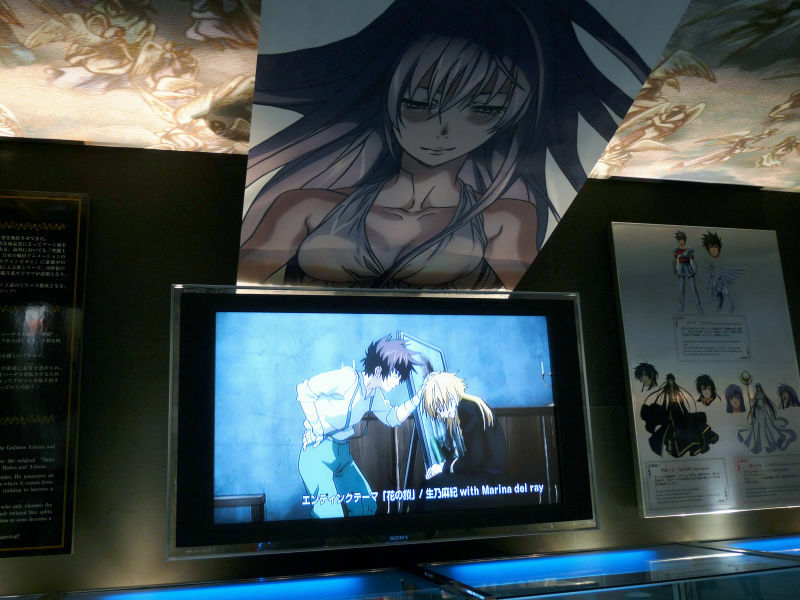 A trailer and figurine, materials including the script, original illustrations and character design sketches were exhibited at TMS Entertainment's booth at Tokyo International Anime Fair 2009. 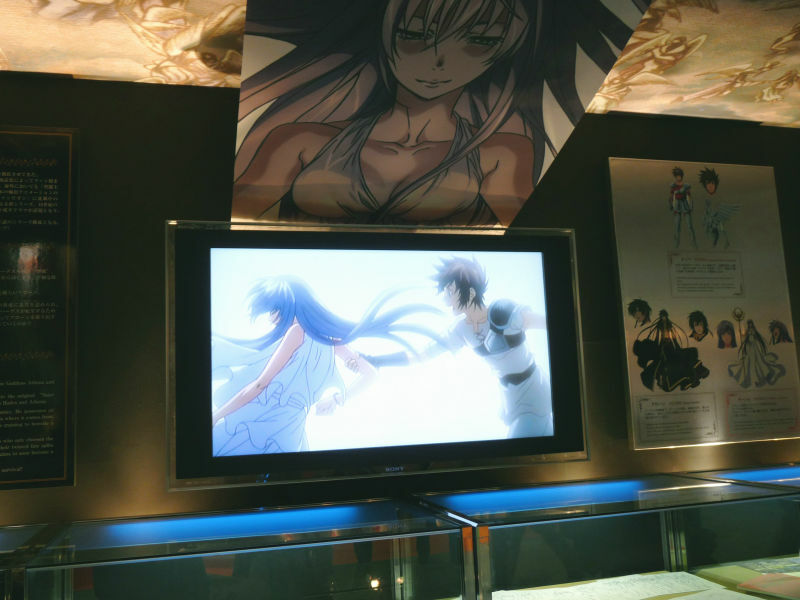 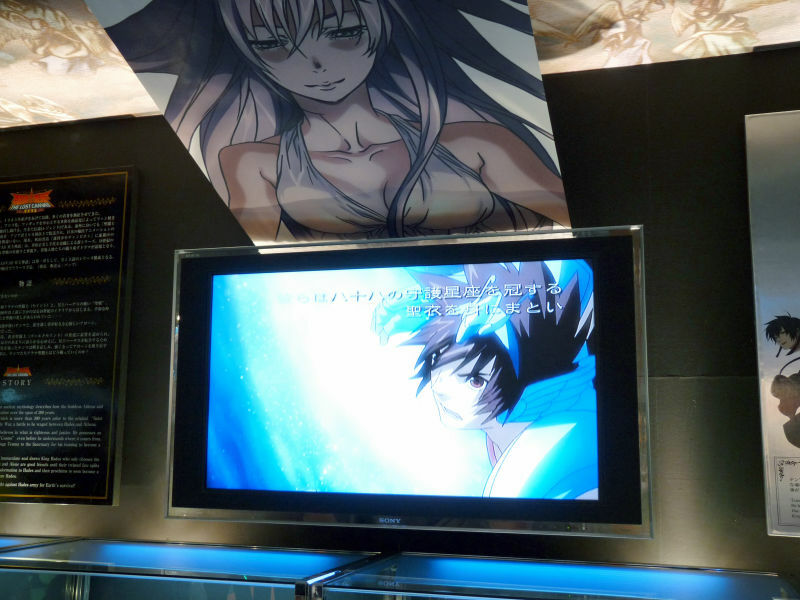 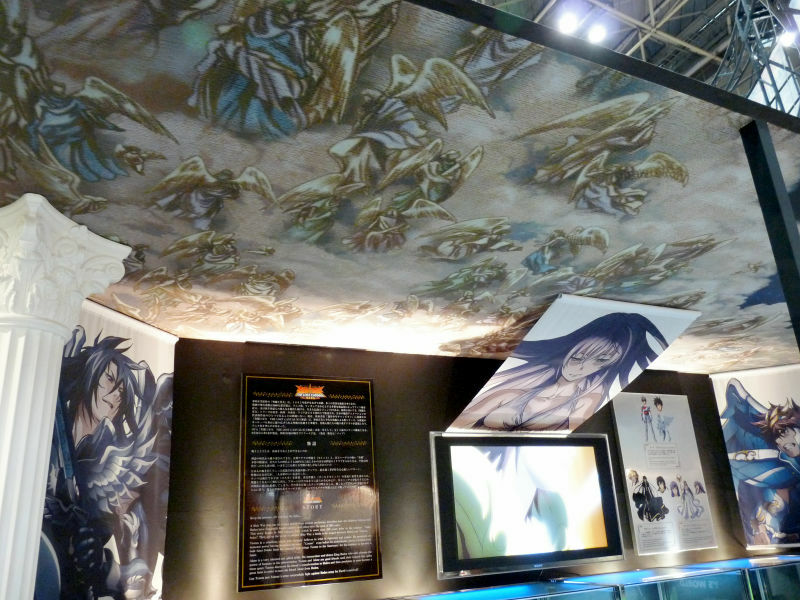 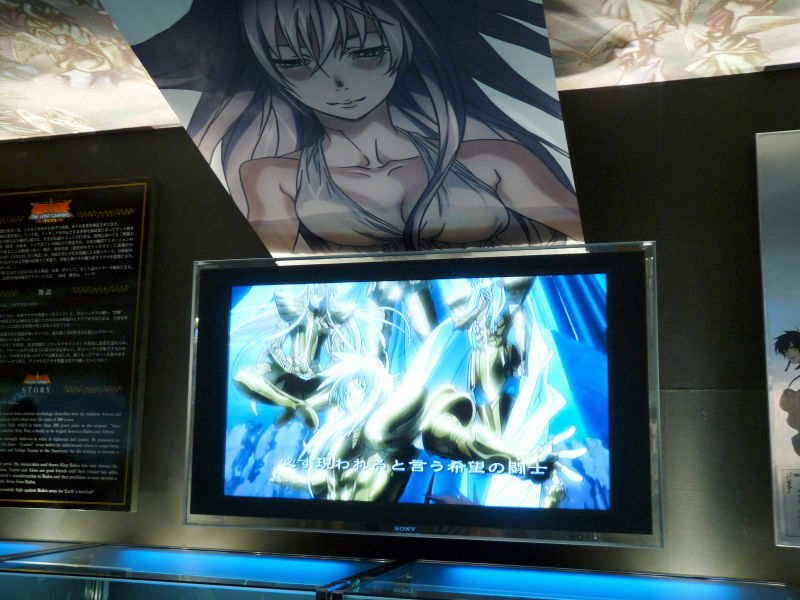 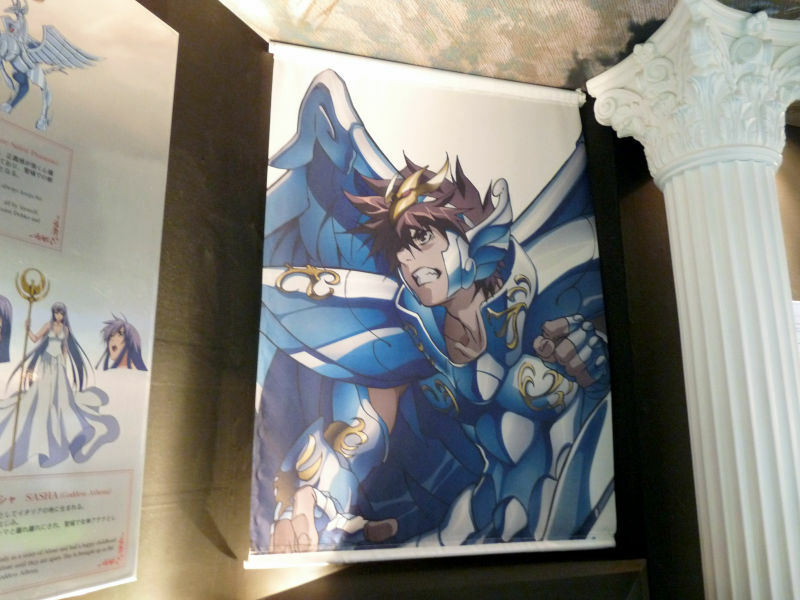 TMS Entertainment's booth featuring "Saint Seiya" and their other major works including "Soreike! 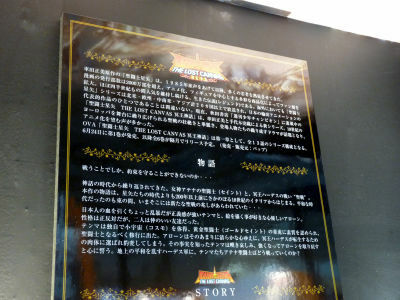 Anpanman", "Live On Cardliver Kakeru", an anime of "Mamegoma" and more. 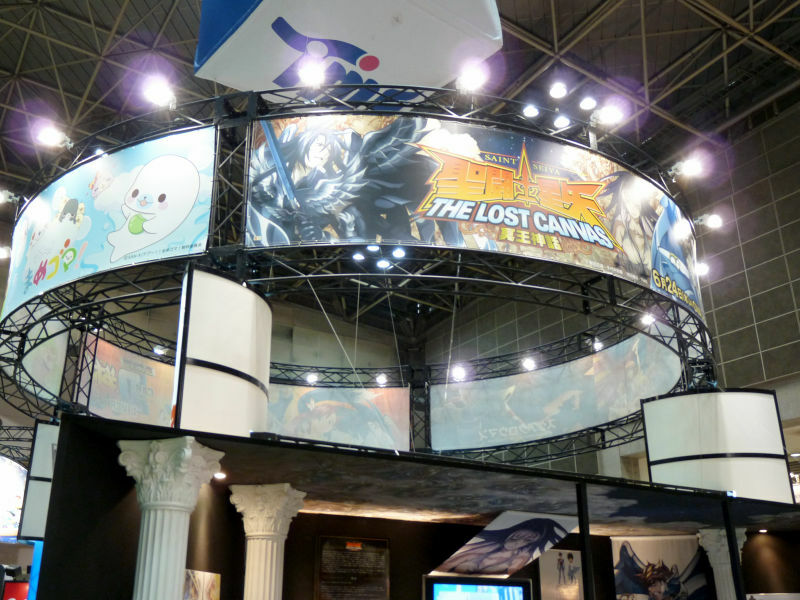 Booth design themed on Greek temples. 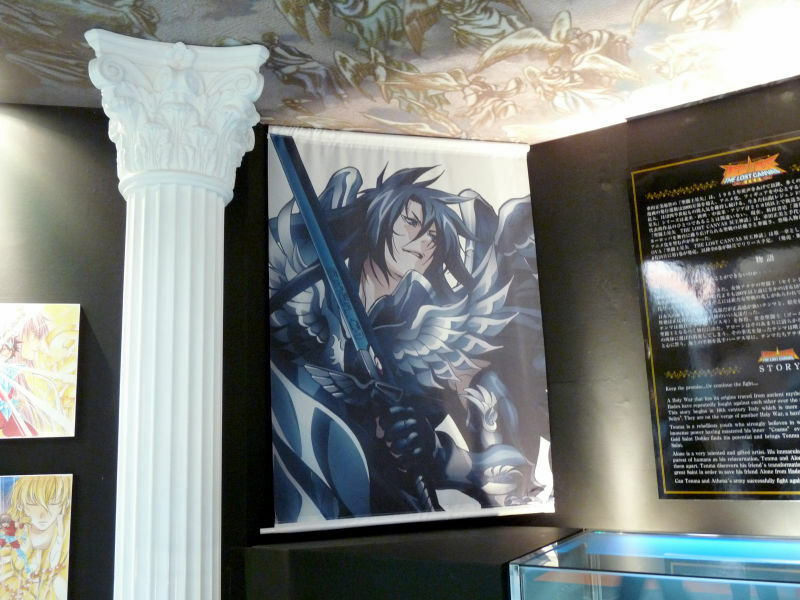 Alone, a young painter and Hades's previous incarnation. Illustrations published on anime magazines. 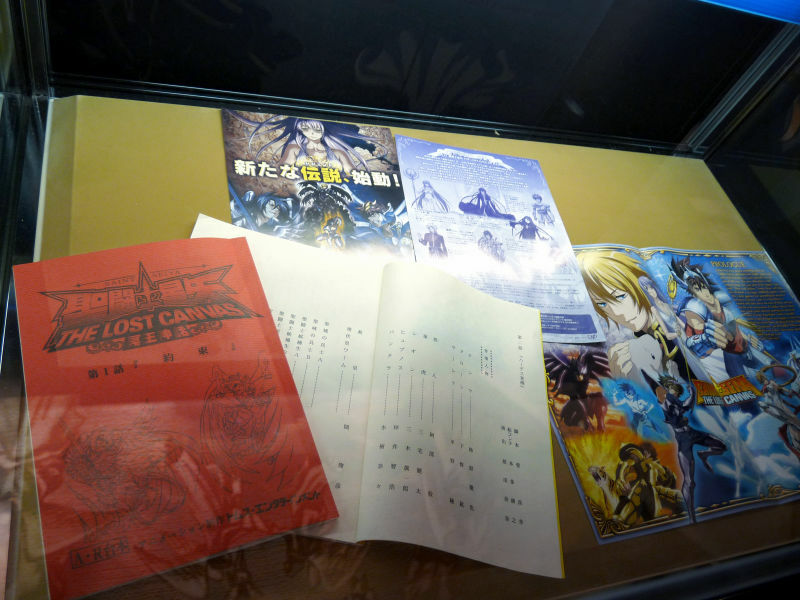 The script of first chapter. 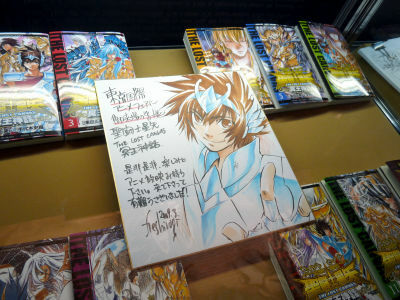 Hand-illustrated message board by author Shiori Teshirogi displayed with the twelve volumes of tankobon. 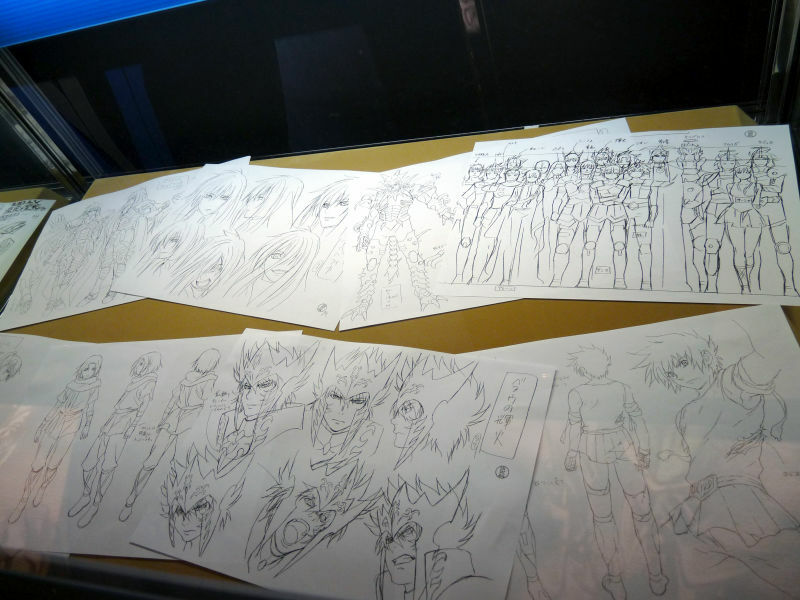 Sketches of characters and settings. 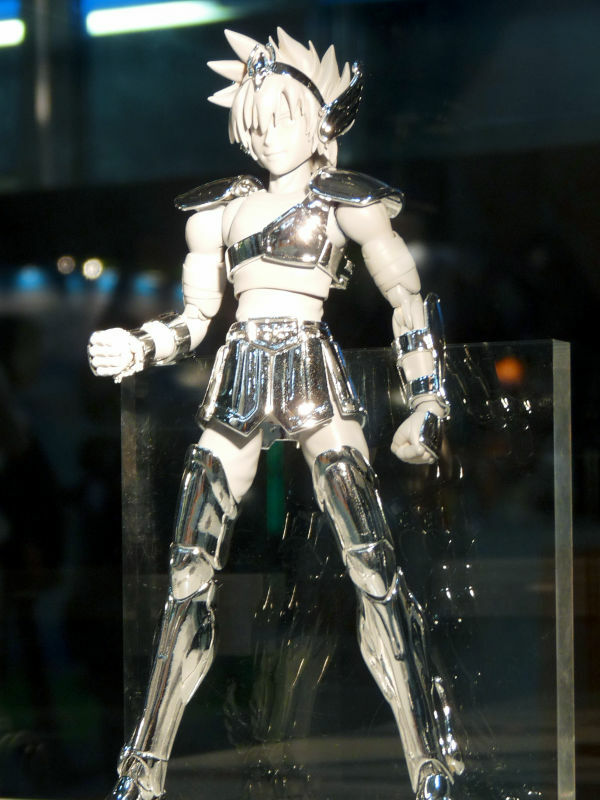 Pegasus Tenma, a new addition to "Cloth Myth" series, Bandai's Saint Seiya action figure line. 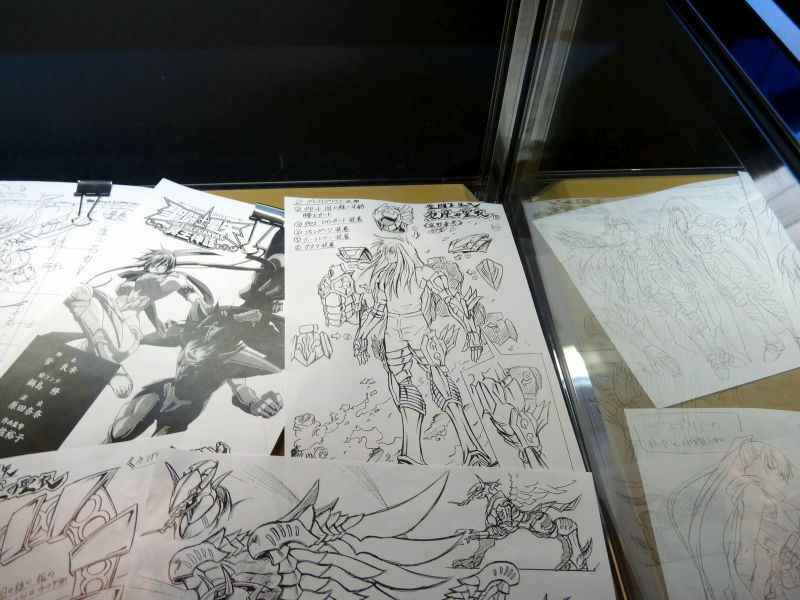 This is a prototype and the finished products will be coloured. Release date and the price are as yet unannounced. 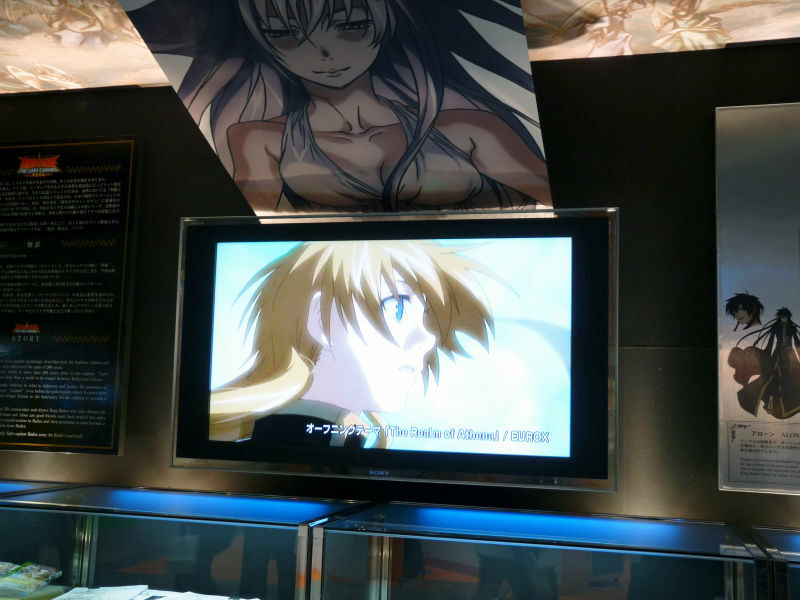 A previously unreleased trailer was shown on the centre screen.